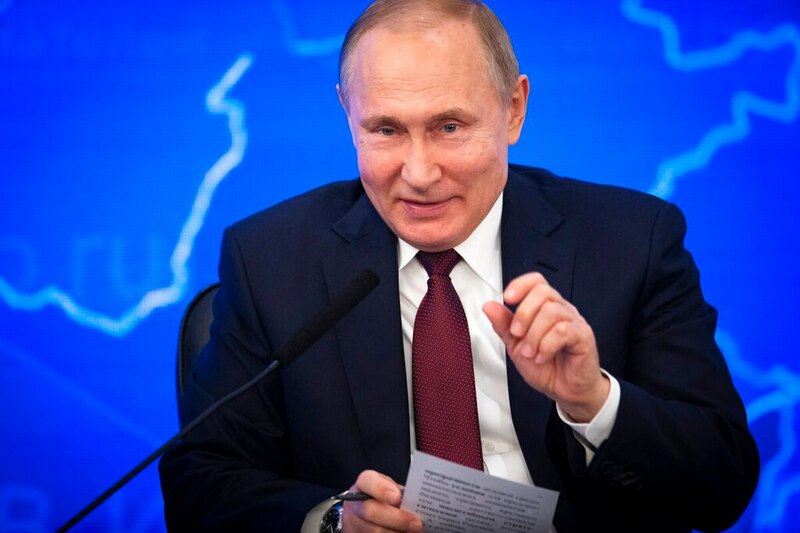 MOSCOW — Russian President Vladimir Putin on Monday marked the fifth anniversary of Russia’s annexation of Crimea from Ukraine by visiting the Black Sea peninsula. Putin began his trip by attending the launch of new power plants in Crimea, part of Moscow's efforts to upgrade the region's infrastructure. Ukraine has cut off energy supplies to the peninsula and blocked shipments of Crimea-bound cargo via its territory after Moscow annexed the region in 2014. Russia’s modernization effort has included the construction of a 19-kilometer (11.8-mile) bridge which opened last year across the Kerch Strait that links the Black Sea and the Sea of Azov. The $3.6-billion project gave Crimea a land link to Russia. Previously, ties between the two depended on a ferry crossing that was often interrupted by gales. Russia's annexation of Crimea drew U.S. and EU sanctions against Russia. On Monday, NATO and the European Union reaffirmed their strong condemnation of the land grab. Russian troops swept Crimea just days after the February 2014 ouster of Ukraine’s Russia-friendly president, catching the West by surprise. 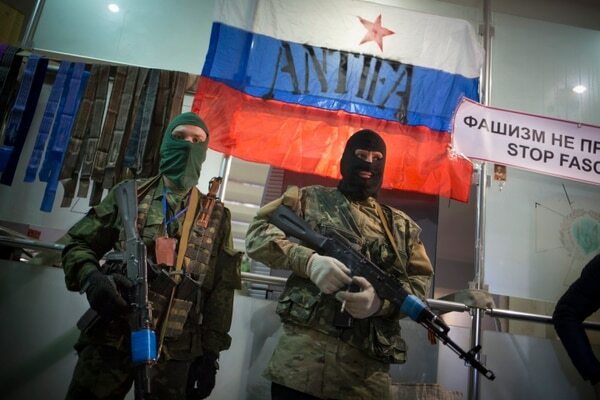 The Russian forces blocked Ukrainian soldiers at their garrisons, setting the stage for a hastily-called referendum in Crimea that the West denounced as illegitimate. Putin said he put Russia's nuclear forces on combat readiness during the 2014 developments in Crimea and warned his Western counterparts that Moscow was ready to defend what it considered its land. The annexation gave Russia hundreds of miles of coastline along the Black Sea, a near-stranglehold on commerce in the Sea of Azov and access to vast amounts of potential energy riches on the Black Sea shelf. The annexation of Crimea, a lush peninsula which long has been a favorite vacation destination for Russians, helped bolster Putin's popularity at home and strengthened Moscow's positions in the Black Sea. However, public enthusiasm in Russia over the grab has worn off over years amid the country's economic difficulties and a plunge in living standards.